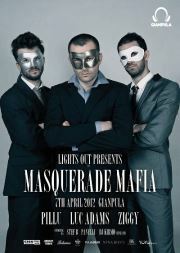 Lights Out presents The Masquerade Mafia. For the first time ever, witness your favourite three DJs playing simultaneously on 6 CDJs and 3 Mixers. Supporting DJs include Stef B, Panelli, Dj Kirmo.